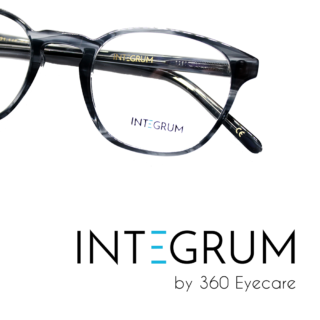 Integrum is our new line of frames sold exclusively at 360 Eyecare locations. We have always prided ourselves on going above and beyond for our patients and now we can take that a step further by offering you our high quality, affordable in house Integrum frames. With so many great styles and colours, your options for stylish eyewear seem endless! 360 Eyecare’s vision to provide and complete and convenient one stop shop for our patients inspired us to come up with our own fashion forward and fun line of eyewear. Our ultimate goal was to achieve premium but affordable eyewear. That’s when Integrum was born! These frames are priced at $149. When purchased with premium opthalmic grade custom digital lenses and nine layers of anti glare and anti reflective coating they are $395. We have over 60 different style options available in store! Contact us to book an appointment or stop by one of our locations to browse.